Close to town,easy walking distance. 24 hr music in shower block. Close to town, easy walking distance. We really enjoyed our stay here and would definitely return. Excellent clean facilities and a very friendly helpful family who run the site. Pool for the children,entertainment and great food at a great price. We wished we hadn’t waited until the last night to eat there! 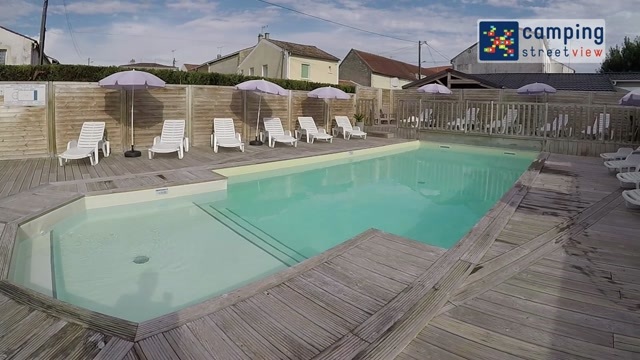 Supermarket and places to eat within walking distance.La Rochelle and Rochefort about 25 minutes drive which are both lovely places to go.There is a beach at La Rochelle. We would definitely recommend Camping de la Geres as a great place to stay. Although we didn’t require the adaptation for disability this was a lovely mobile home to stay in. Comfortable beds,cooking utensils provided,gas hob. No oven but this was not an isssue as there was a microwave if needed.There was a coffee maker as opposed to a kettle but again not a big issue as could boil water on the hob or use travel kettle which we did. Nice shower and outside seating area. A good size for 4 people. Very friendly, clean and great facilities,. Loved the pool and bar area. Lots of fun activities. In a great ville. Cosy, secluded pitches set amongst lovely shady trees. Site not too big. One night, some men stayed up drinking until 2:45am - this made it difficult for us to sleep. The mobil-home had everything we could need. The children loved the trampoline. It was very peaceful most of the time. Accueil sympa. 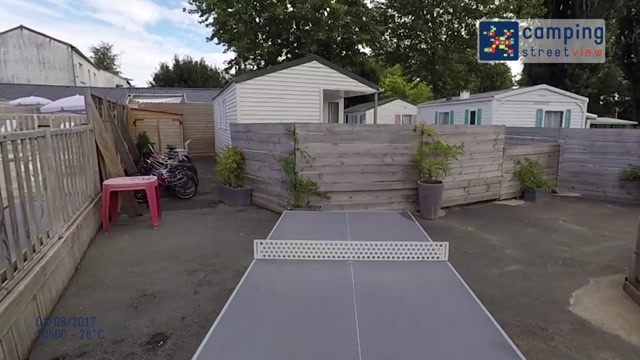 Camping très propre. Nothing - but we do not fit any of the 'type of stay' headings for this feedback as we are not a young couple or oap! Quiet site with helpful assistance if required. Convienient to town for supplies. Easy to locate off bypass as well sign posted. Not a high number of pitches and many visitors appear to be short term. Pool was welcome & well laid out for sun or shade. Great for a calm quiet stay. Freezer available for ice packs or water bottles - nice touch as it was hot! Camping proche du centre et donc des commerces accessibles à pied, au calme. Très bon accueil. Très beau mobil home tout neuf. 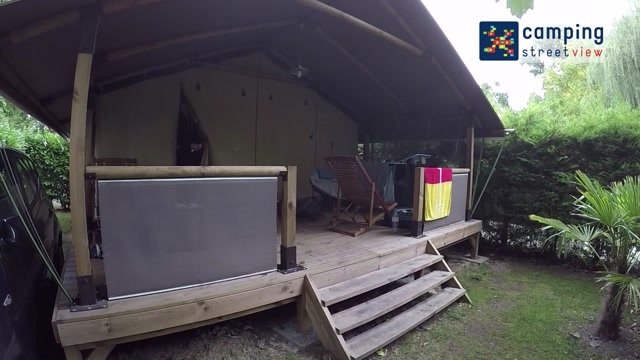 Camping bien situé pour visiter autant la côte que le marais poitevin. Nous reviendrons, c'est sûr. Coin calme, proche de toutes commodités, propriétaires agréables et chaleureux. Rien à redire. 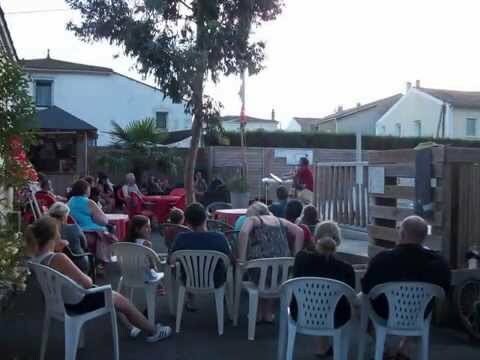 Camping familiale. Hébergement propre et bien placé. Vu sur la Gères.